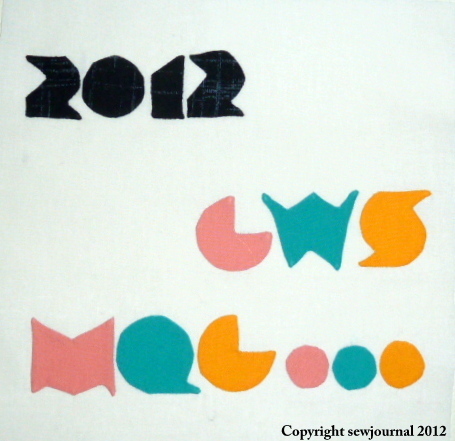 At the Greater Western Sydney Modern Quilt Guild (GWS MQG) we’re making a membership quilt top as a record of all the members. We are to use the three colours of the guild’s logo plus white plus one other fabric of our choice. You can see the details here. At last week’s sit and sew some of us set ourselves the target of finishing our block by next Monday’s meeting. I managed to get mine completed today and here it is. Nothing particularly earth shattering but it is a record of when we started. I’m afraid it’s not my best work. I’m a little rusty on the applique as I haven’t done any for a while and Kona cotton really isn’t the best applique fabric as it’s not fine enough and tends to fray.